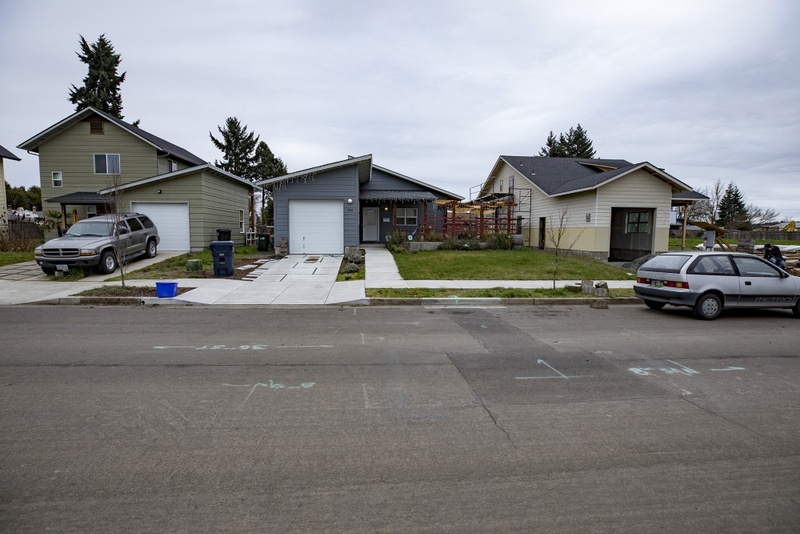 In west Eugene sits a quiet neighborhood street with four houses in a row, one of them still under construction. 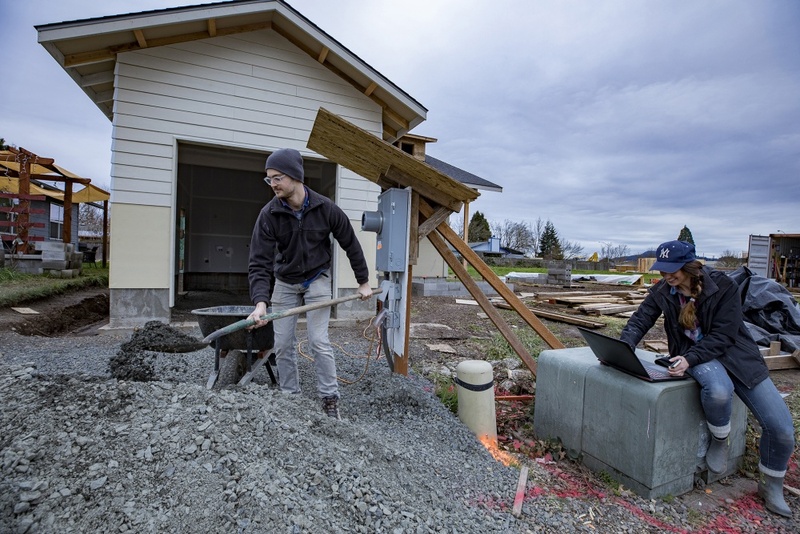 Each house has its own character — one is single-story and blue, another is two stories and olive green with a detached garage — but they have one thing in common: They were all designed and built by UO students. 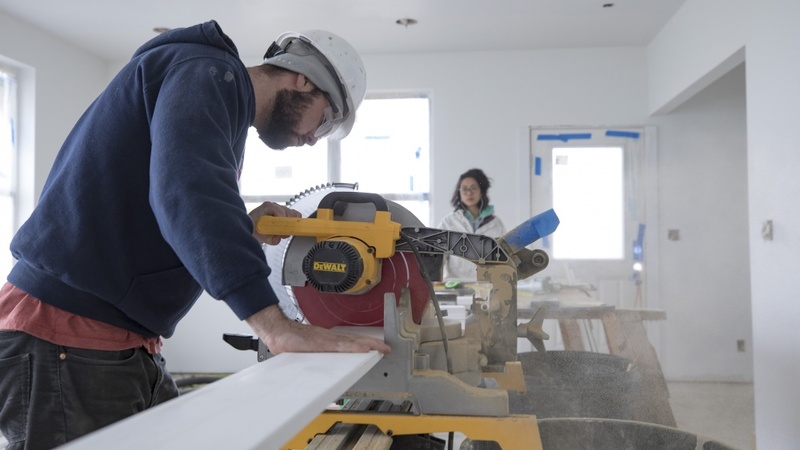 OregonBILDS, which stands for Building Integrated Livable Designs Sustainably, is a studio program in which UO students collaboratively create one residence per year. The houses, which are made to be affordable and energy-efficient, are sold to families who make 80 percent of the local median income. The money from each sale goes to the production of the next home. The newest house was designed by a studio class in fall 2016. Construction began in fall 2017 and will continue through this spring. Most of the students involved in the program study architecture. Rob Thallon, UO associate professor of architecture and director of OregonBILDS, explained the value of the program to future architects. Sixteen students are in the studio class this term. 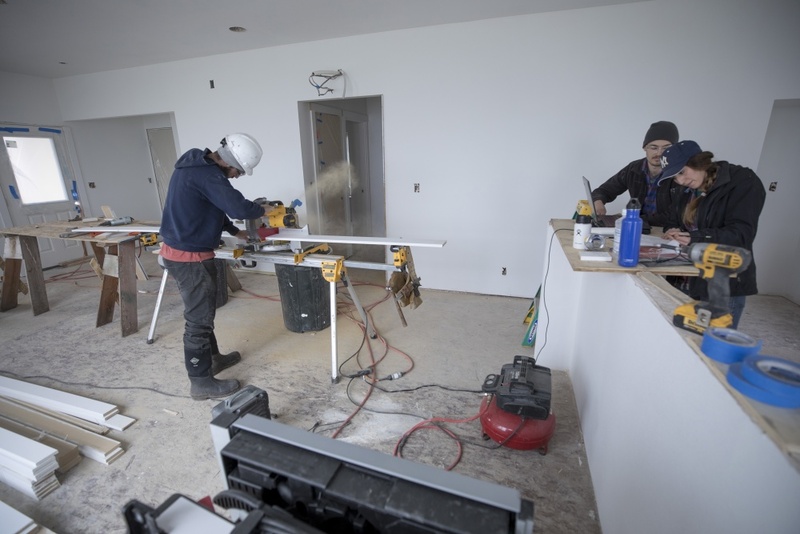 The group meets once a week on campus and splits into rotating labs for the on-site construction. 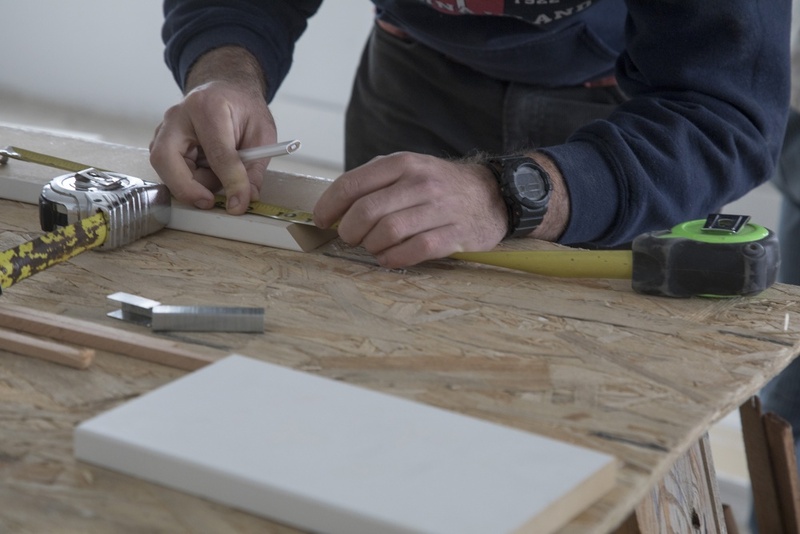 Students don’t dabble in plumbing or electricity, realms that require licensed professionals, but they work on tasks such as the framing, siding, insulating and interior trimming of the house. The first OregonBILDS house was completed in 2014. A grant from the UO Meyer Fund for a Sustainable Environment, as well as contributions from construction contracting firm Lease Crutcher Lewis and various members of the local business community, helped launch and sustain the project. Homes for Good, a Lane County affordable housing agency, provided the land where the houses were built. Two to three more OregonBILDS houses will be built on the same street. The latest house is two bedrooms, 1,100 square feet and will cost around $200,000 when completed. 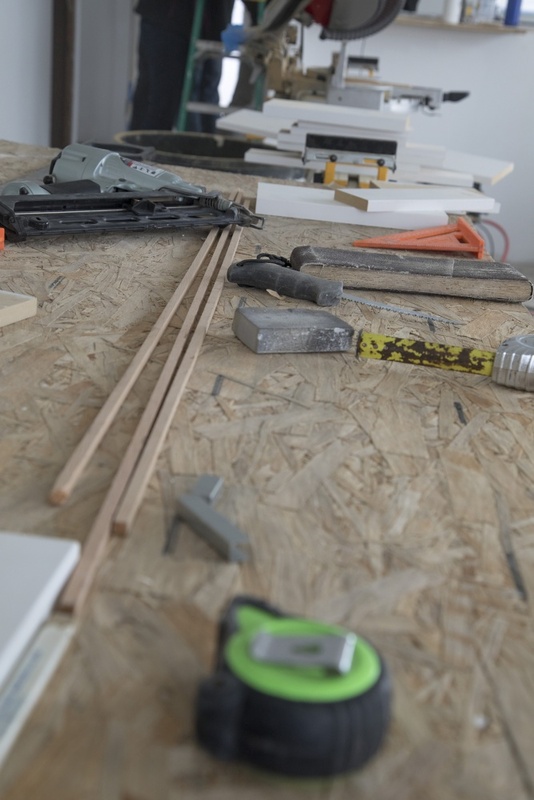 Ensuring that the houses are affordable and that the buyers are income-qualified is important to the program, Thallon explained. After Seattle, Eugene has the second-most constrained housing market in the country, according to Realtor.com. Only 0.6 percent of the city’s housing stock is for sale, and the costs to rent and own housing are rising significantly faster than household incomes. 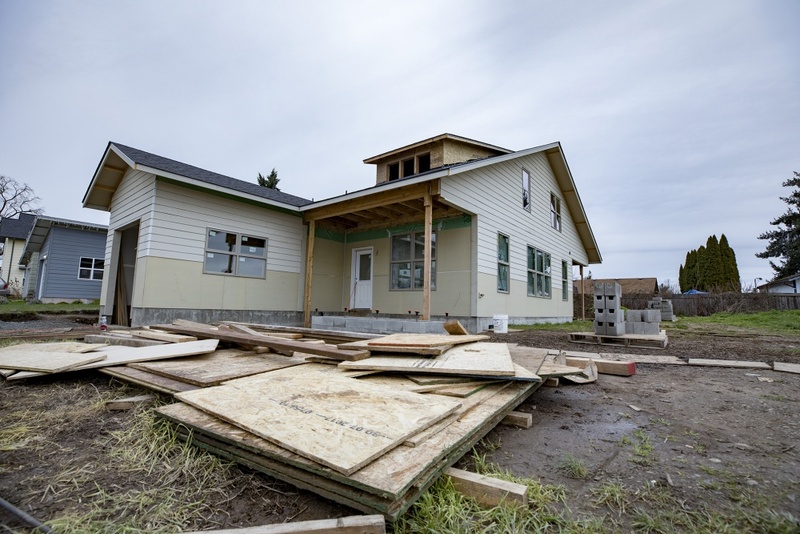 “So we’re chipping away at that in a very small way here by providing affordable housing for six families on this street,” Thallon said. In addition to making the houses affordable, OregonBILDS focuses on energy efficiency. Each house is 45 percent better insulated than a code-built house. With affordability and efficiency in mind, OregonBILDS students manage a careful budget. According to Thallon, the requisite constraint only inspires them to more creativity and innovation. For example, because the roof of the newest house is the same in the back as it is in the front, a porch could be fit on both sides. Making the house single-story allowed the project to remain affordable, but it is easily expandable into its second-story attic. The newest house, located at 378 Hope Loop, is a pale yellow and looks nearly finished from the outside. The inside is largely still a blank slate waiting for the next studio to bring it to life with paint, flooring, trimming, countertops and cabinets.